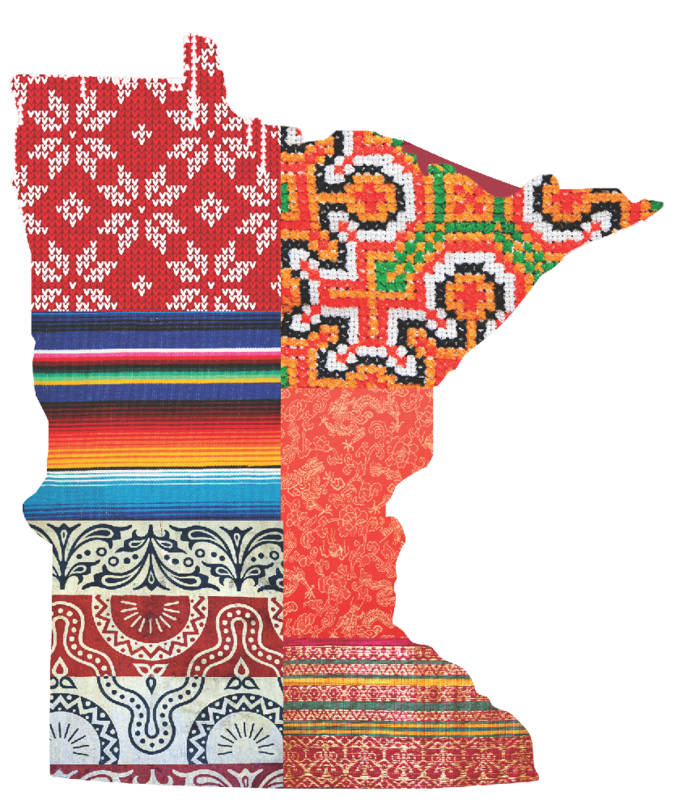 For Global Minnesota, the University of Minnesota created public programming exploring immigration to the Upper Midwest. Image courtesy of Global Minnesota. The NEH grant allowed the center to establish partnerships within the university and the broader Minneapolis/St. Paul community in support of public programming. Two especially popular events were walking tours of immigrant neighborhoods. With the East Side Freedom Library, the center organized a tour of St. Paul’s East Side neighborhood, which has been home to Swedish, Italian, German, Hmong, Mexican, and Salvadoran immigrants over the past two centuries. A tour of Minneapolis’s Cedar-Riverside neighborhood brought participants to local businesses, mosques, and restaurants. With local historians, the center also produced a self-guided tour, which helps individuals explore the neighborhoods on their own.